Have you ever read a book of Christian fiction and thought that it just did not measure up to your favorite fiction authors? I have as well. When I contemplated the reason for this difference, I came to the following advice for Christian fiction writers. When I mention depth, I mean for writers to move beyond the stereotypes. Certainly we tend to think in stereotypical ways and may even plot our characters to fulfill certain roles, but real life is not very cut and dry. Good people do bad things. Look at any Bible story and see this truth. Even saints make bad choices. The characters in your novel need similar complexity. 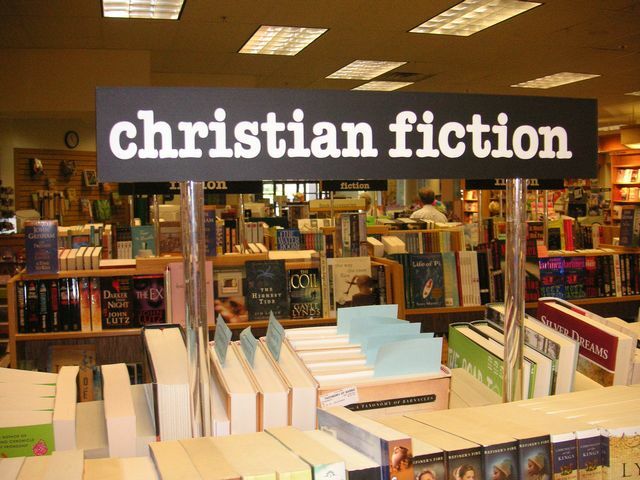 Resist the temptation to have every Christian fiction piece have an overly simplistic Jesus-type. Look at the complexity of Jesus’ words in John 17 to see genuine personal struggle. And it should be from the beginning chapter. The best stories are ones that grab you from the first chapter and never let go. There is a reason why I picked up John Grisham’s The Firm in high school and could not put it down until I read the entire novel. Books with a good first chapter still need to build suspense and have realistic plot points that move along the action. Contrivances just don’t work. Readers can identify with issues related to love, friendship, work, personal mistakes, and everyday choices. Everyday choices may lead to unexpected places, but you want the reader to identify with the character and possibly being in his place, identifying with his choices. If the decisions of a main character start to appear illogical and don’t make sense to the reader, you will quickly lose the reader. This is especially true when illogical decisions mount in a primary character. Real life dilemmas and real life decisions make the story believable. As mentioned before, people who make bad choices aren’t just bad. They make bad choices for a variety of reasons connected to their past and current situation. Similar to the good character discussion above, resist the urge to have overly simplistic characters portrayed as pure evil. What are the reasons that bring them to the place they are in the novel? Readers want to know how a person could be like that or why they make those choices. Equally, people who do horrendous things also can be redeemed and make unbelievable turnarounds. Look at the Apostle Paul. His move from persecutor and accessory to murder soon turned to his becoming the greatest missionary of the Christian message of hope. Make us want to come back for more! Your ending should be satisfying in a way that readers want more. The best books have endings that leave you feeling that way but without an obvious to be continued ending. You don’t want to assume there will be an audience for the second book you have in mind just because you wrote your first novel to have one.